This Saturday, pick up some free coffee and save the environment at the same time. The Phi Mu chapter of Mu Phi Epsilon will be coordinating a free e-waste recycle day as a fundraiser for the organization, SJSU’s music fraternity. 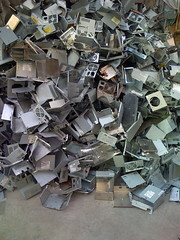 GreenMouse Recycling is open 8:00 a.m. – 5:00 p.m. – Monday-Friday; check their website for special Saturday events.